It was announced recently that dog meat will finally be banned from the abhorrent Yulin Festival in China. However, eating the animals is still practised in several countries in eastern Asia, including China, Vietnam, the Philippines and Indonesia. 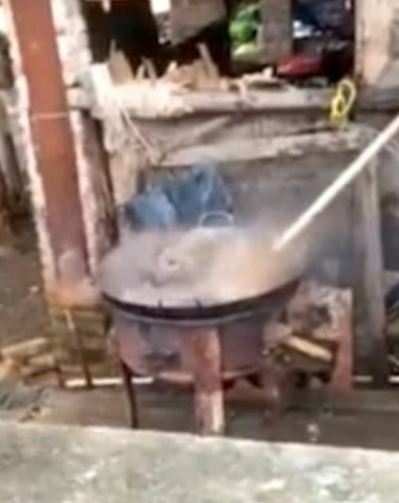 Disturbing footage has emerged of a dog – seemingly a pet as it wears a house collar – being boiled alive by laughing villagers. 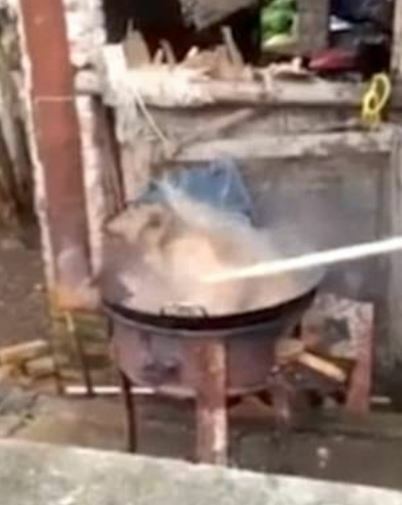 Footage captured on a spectator’s mobile phone shows the poor pooch struggling to escape a wok filled with water and held over a flame. 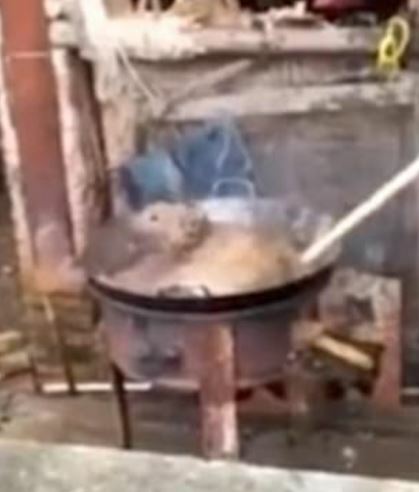 In the disturbing footage, you can see the canine’s feet are bound together so it cannot escape, but even so, the villagers use a bamboo pole to hold it down as it writhes in agony. Fight Dog Meat, an organisation ‘fighting for dogs and cats in Asia, Africa and beyond’, uploaded the gruesome footage onto their website. Cooking the dog in this method would take perhaps an hour for the dog to lose consciousness and longer again for it to actually die. 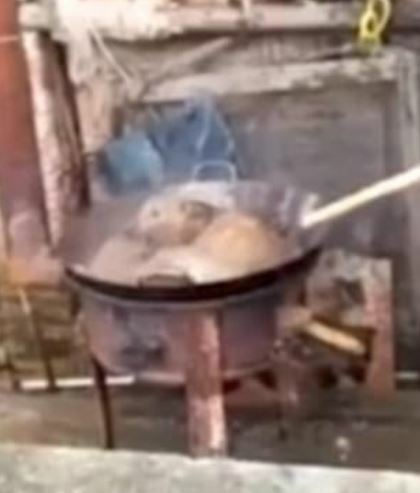 The vat used to cook the canine is so shallow that the dog can’t even drown to meet an earlier death to escape its inflicted and wholly unnecessary agony. I find this almost unbearable to watch without wanting to inflict great pain on this man and his laughing spectators. Words have not been invented yet to describe the pain this dog went through, or the depth of the disgraceful behaviour of all the humans present. It’s estimated that between 10,000 and 15,000 dogs were killed for customers at festivals such as Yulin, but today, it’s believed to be as low as 1,000. Organisations such as Fight Dog Meat and the Humane Society International are working towards ending the suffering and abuse of animals around the world. Visit their websites to help fight the dog meat trade.